I wanted to get something out that’s bothering me today before I continue my recap of my Tennessee vacation. The issue of comparison traps was on my mind this morning after my trip to the gym. I got up a bit later than I’d have liked but still made it in time to catch the last 30 minutes of spin class. I worked hard and got in a great cardio workout. A couple of others came in late too, but when the class ended, they both stayed for the next class. I was all ready to go do some abs and be on my way, but it immediately bothered me that the other women were staying and I was not. I started wondering if I was being lazy, if I should stay for the next class. I thought of all the others who were leaving when I was, but had been there the entire hour, not just 30 minutes. Then I tried to tell myself – I did what I wanted. I sweated, I feel good, and now I can go about my day. And that’s what I did, and I’m proud of myself for that, but it’s STILL bothering me! I often get caught in a comparison trap, even though I know when it comes to working out, quality > quantity and I certainly had some quality time with that spin bike. 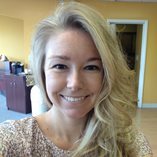 Does anyone else get suckered into comparison traps, and getting caught on quantity instead of quality when it comes to working out? Enough of that – thanks for letting me vent, and now I’ll get onto my Tenneseee recap, which oddly enough starts with workout talk! As I mentioned earlier, I did manage to get in a few workouts on this trip. 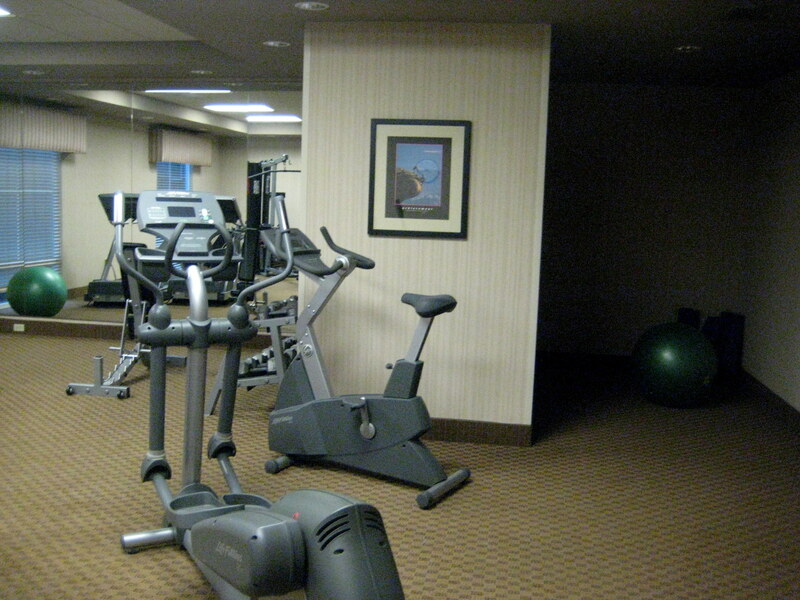 Each morning I woke up and headed down to the hotel gym. 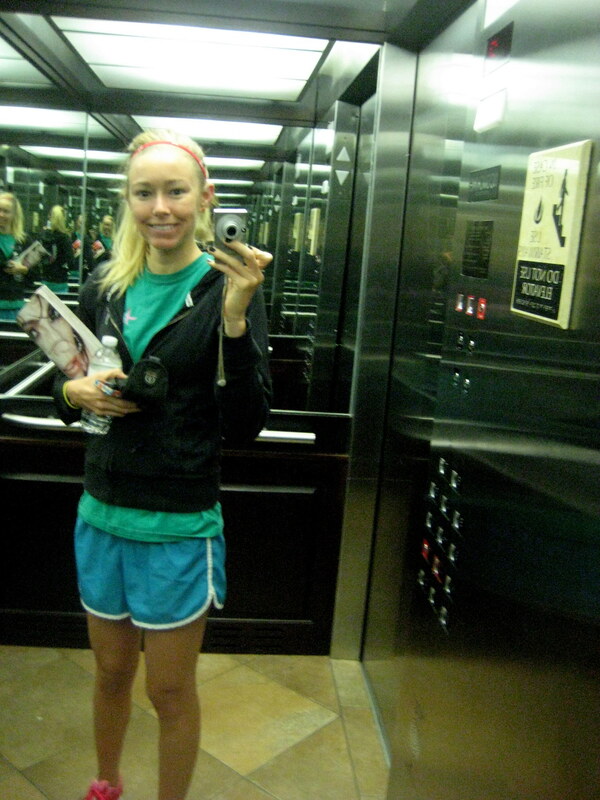 Classy mirror shot and morning eyes. 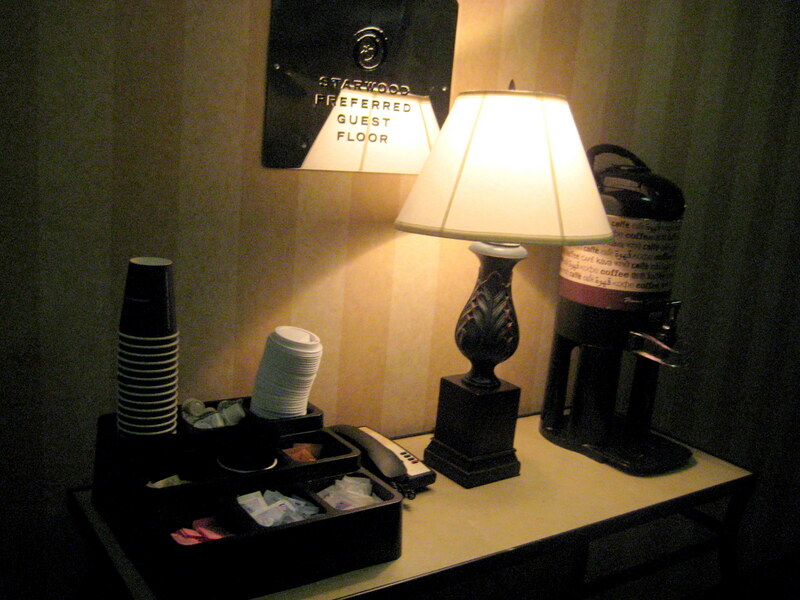 Conveniently enough, coffee was set up each morning by the elevator for those of us (aka my mom) that cannot work out without caffeine first. Luckily I can save my coffee as a post-workout reward! I prefer it that way. The hotel gym was fairly nice and had a TV with an accessible remote – a must when I am doing cardio without a class to drive me! I had magazines just in case, but the TV was preferable for my elliptical/treadmill sessions. 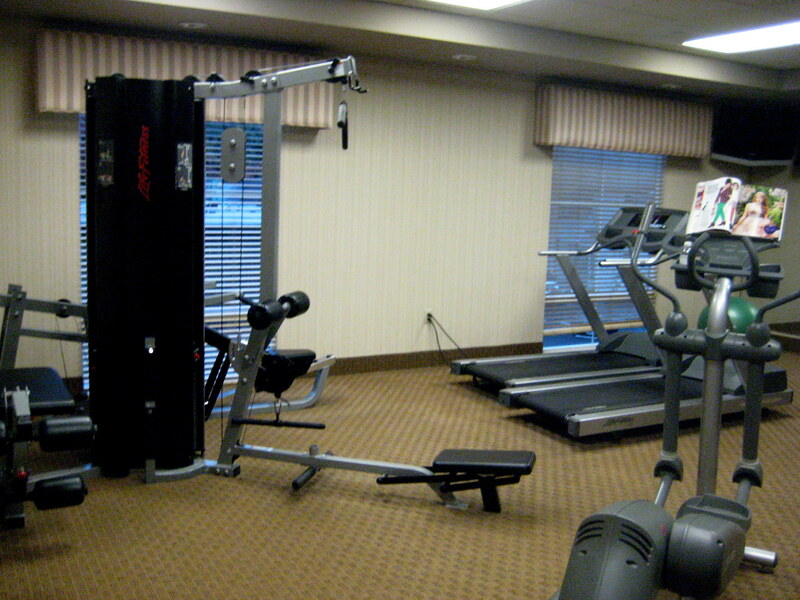 I used that weights machine to do some stuff, but mostly stuck with body weight moves or the free weights. Creepy dark corner with yoga mats and a stability ball! I did some abs over there and felt sketchy. Our room was pretty nice too! 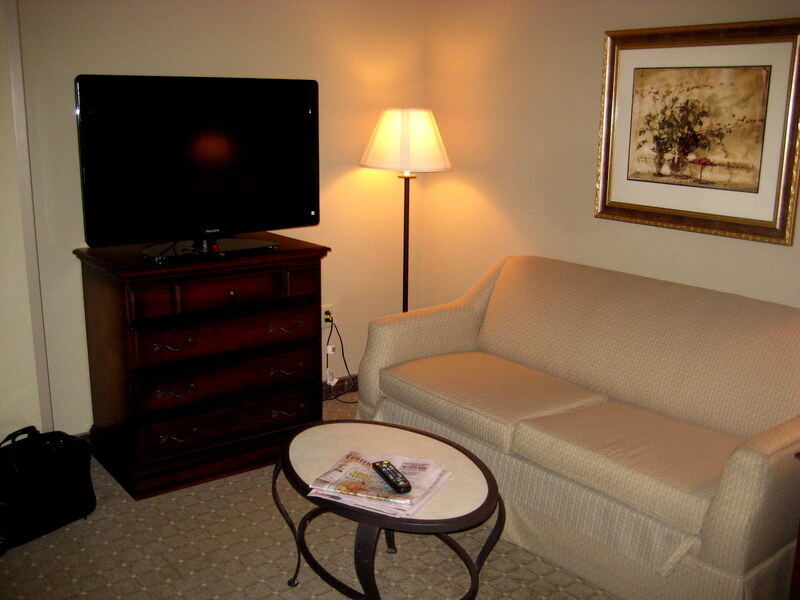 We stayed at a Four Points Sheraton and used our Starwood rewards points to get a good deal. Not only was free coffee at the elevators and in the lobby each morning, but there was also a fresh basket of apples at the front desk 24/7! 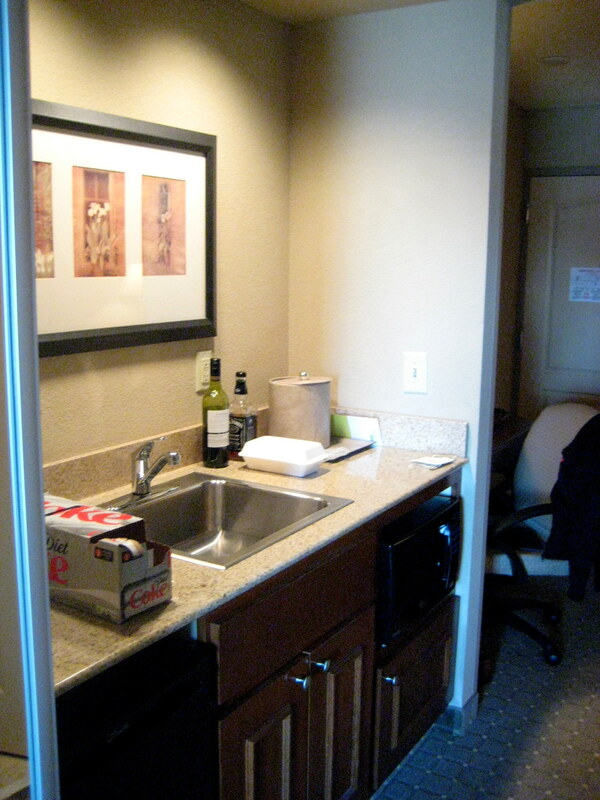 We had a fridge, microwave, and sink in the “kitchen” area, so there was plenty of storage for snacks and (mostly) libations. My family has a Diet Coke addiction – my brother and I are the only ones that do not partake. We had two of those TVs, one in the “living” room and one in the bed room! What was funny was if one was on, you could definitely hear it from the other room, so watching both TVs at once would prove to be difficult if we had run into that situation. Something I liked about this place that may sound weird was the design they chose for the bottles of shampoo, conditioner, and lotion (see above). I hate it when hotel toiletries are in those stiff bottles that are absolutely impossible to squeeze. I know, I know, first world problems. But does anyone else feel me on this? 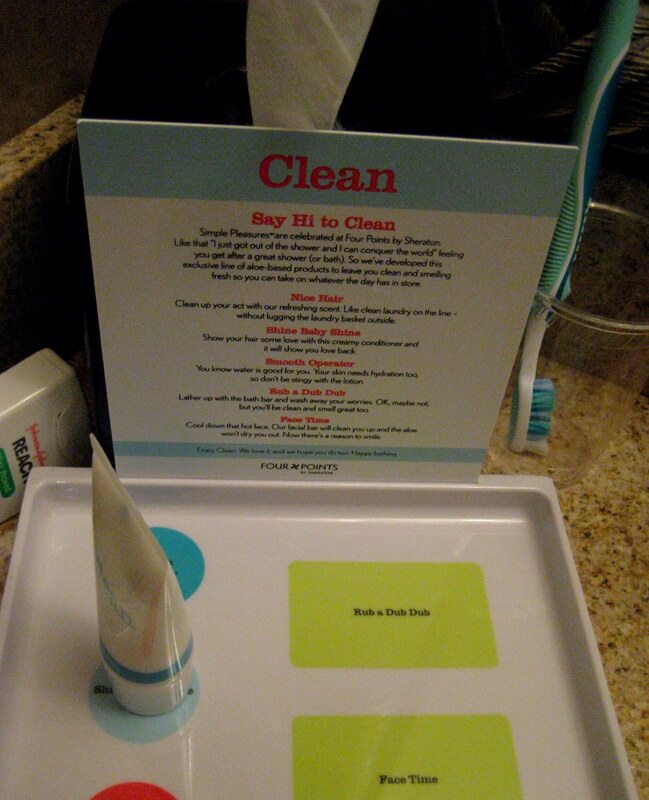 The Four Points Sheraton does need to keep in mind though – ROOMS NEED TWO BARS OF SOAP! One for the hands and one for the bod, no? We could barely even get them to give us extra soap when we left a note and a tip for housekeeping. My Nana Connie has had the same problem there and always packs extra soap now when she stays there. Weird! We took a nice walk around the campus on our second day (Saturday) and headed to the book store for some SHOPPING! 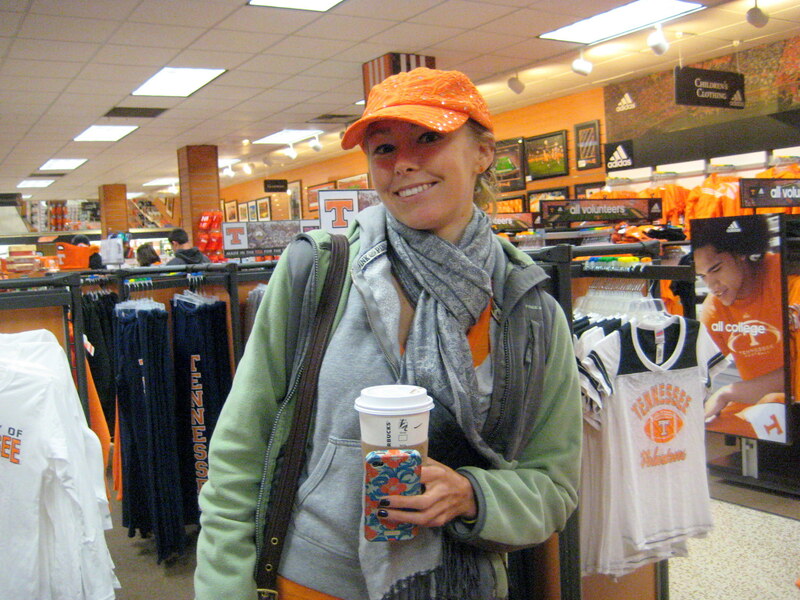 I love Vol gear. For those of you who are confused, yes I went to UConn. 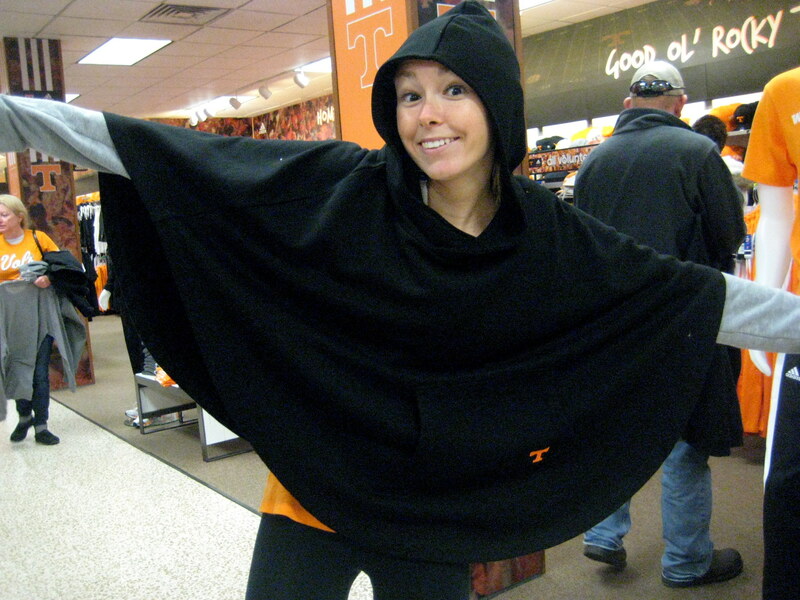 Yes, I root for Tennessee. I was raised that way and it will never change! There’s nothing like SEC sports anyway (sorry Big East). 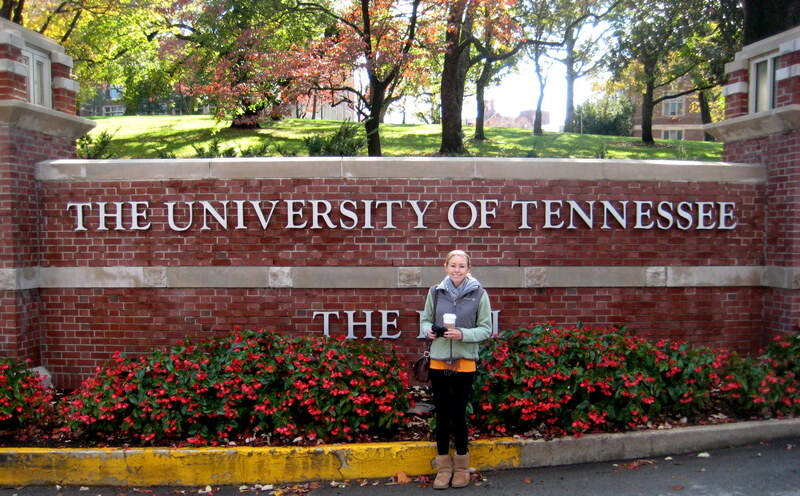 And now I have not only my parents to support, but my sister the new Vol as well! The bookstore had some pretty random stuff, but also some really cute purchases for me! Immediately after I jokingly posed for this photo, someone legit exclaimed that they wanted to buy this?! 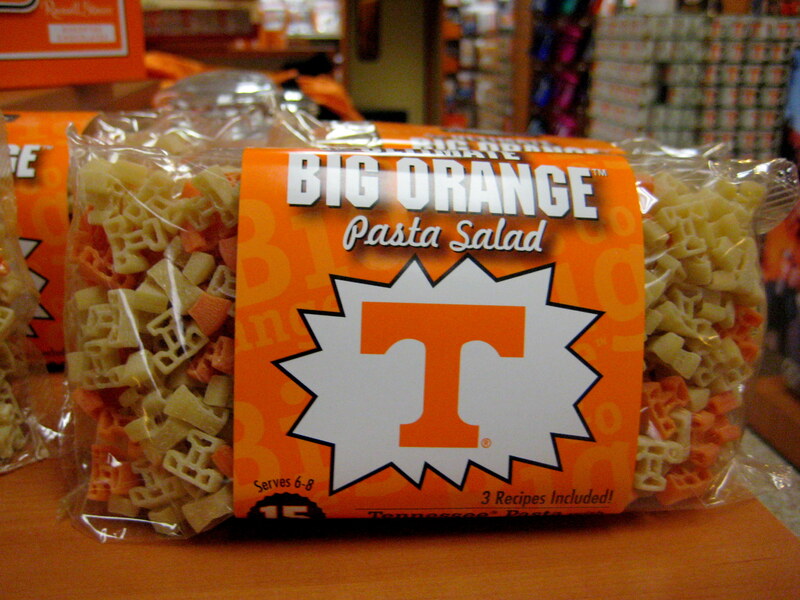 Unfortunately, my Nana Connie said this pasta isn't good at all. I tried on a sparkly orange hat as a joke, but ended up realizing after we left the store that I really loved it, so we went back before the game to get it! I pretty much haven’t taken it off since. Giving off a power-errand-runner vibe. After cleaning out the book store, my mom and I walked to get a special treat for lunch that we can barely find in CT nowadays – QUIZNO’S! The beloved Q! Spotted: the mom taking the pic. I had two chains I aimed to visit on this trip – Quizno’s and Chik Fil A (that comes later). Quizno’s is my favorite sandwich chain of all time and its slightly higher prices (compared to Subway) are completely justified by the quality of its ingredients. 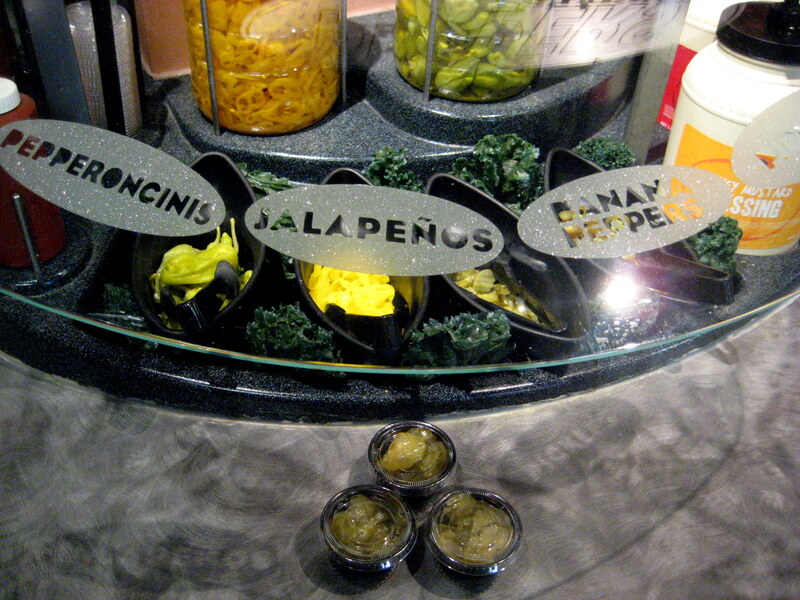 Any place with a pickle bar is a winner. 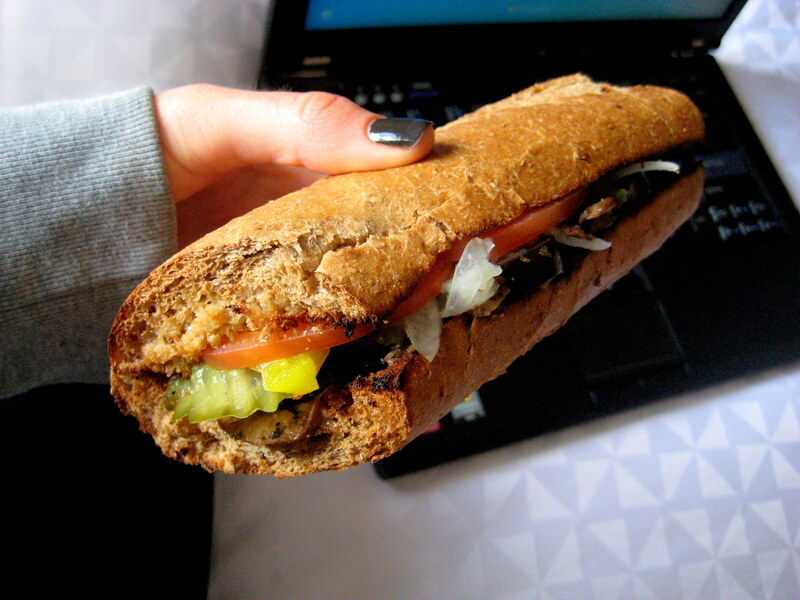 I knew there was plenty of food coming at the tailgating and game later that day, so I went with a small Veggie sub on wheat. 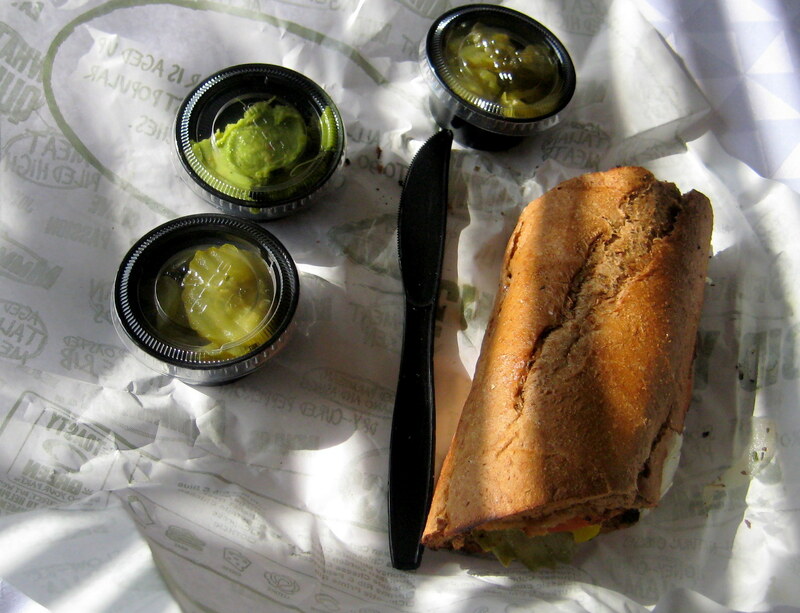 It had lettuce, tomato, pickles, olives, banana peppers, sautéed onions and mushrooms, cucumbers, and guacamole. With a million pickles on the side, of course. 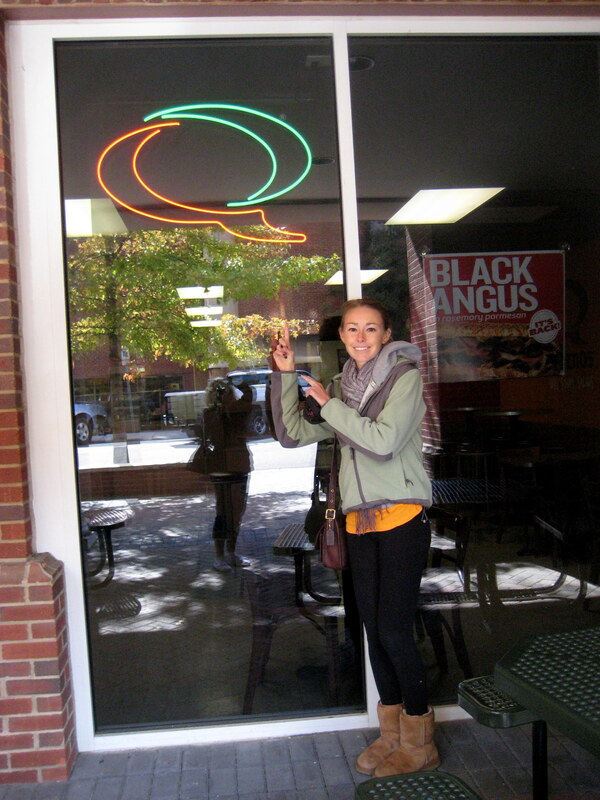 Beams of light shine on the holy Quizno's – behold! What follows is my favorite food photo I’ve ever taken so far – hopefully that will happen more often once I get my new camera! This sandwich was SO GOOD. Quizno’s never disappoints me! Next up, I’ll recap the tailgating and the football game itself! Do you typically drink your coffee before or after your workout (or both)? What’s your favorite sandwich chain? Who do you root for in college football?